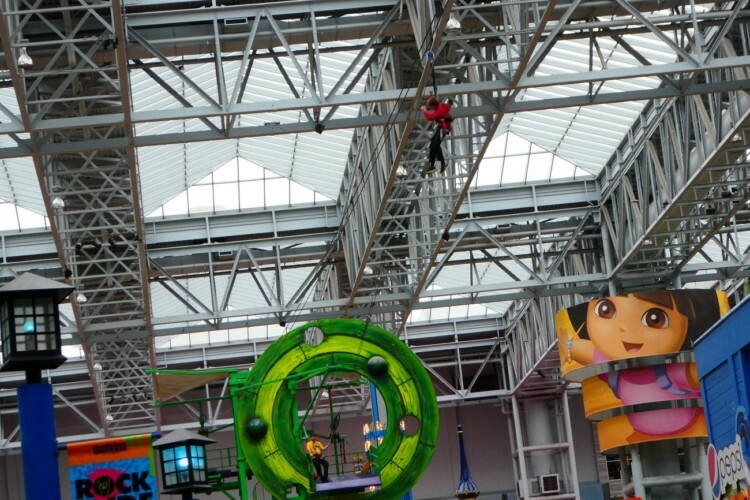 Photo by Jamie Bartosch/Suburban TravelingMom There are new rides at Nickelodeon Universe, along with other new attractions at Mall of America. Mall of America is like the Midwest’s Disney World. Kids go out-of-their minds with excitement for MOA’s rides, attractions, stores, and food. With all of the new stuff they’ve added in recent years, this suburban Minneapolis destination just keeps getting better. It’s a must-see destination. Here’s why. 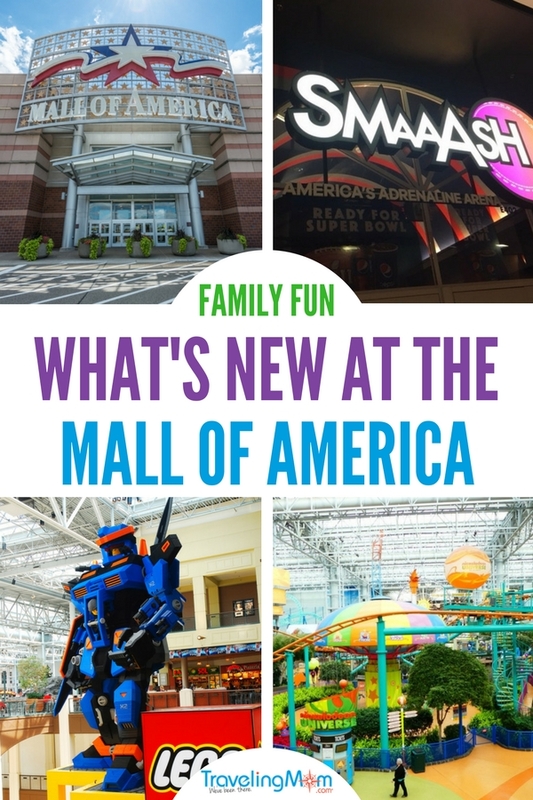 If you’re like me, and haven’t been to Mall of America in a while, it’s time to get yourself back to Minneapolis (actually, it’s in suburban Bloomington, Minnesota). 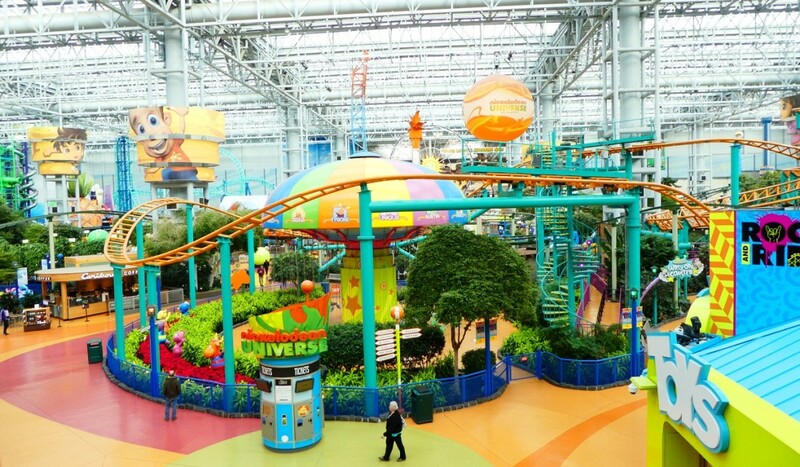 What makes MOA like no other mall in the world is its giant indoor amusement park, Nickelodeon Universe. The colorful, clean park is just one of the mall’s entertainment options. 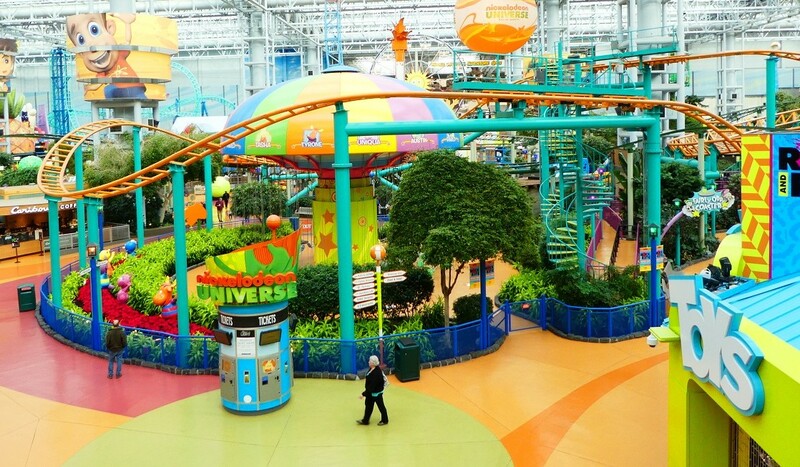 The Mall of America also has the SEA LIFE Minnesota Aquarium, Amazing Mirror Maze, the Moose Mountain Adventure Golf mini golf course, an escape game, movie theaters and more. Now, it’s added new things, like virtual reality experiences. 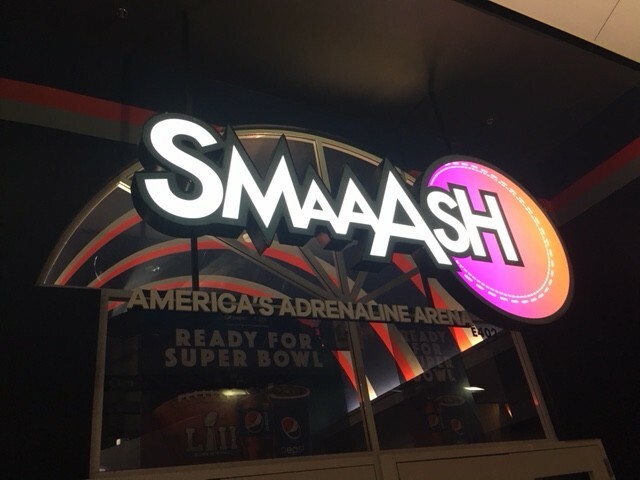 If your kids like to put on virtual reality (VR) goggles and play games, they’ll love SMAAASH, a unique VR arcade on the mall’s 4th floor (next to a new Gameworks, for even MORE gaming). SMAAASH was a big hit with my 12- and 14-year-old kids. While VR sometimes makes my stomach queasy (I took a hard pass on the draw-your-own-rollercoaster VR experience), there were plenty of other VR games that did not require Dramamine, like the Fruit Ninja or the shoot-your-attackers Art of Attack game. My favorite was hang gliding. You lie on your stomach, hold on to the bar, and wind blows in your face as you fly through a city. We thought the go-karts were “meh” (plus, we had to stand in line for 40 minutes – such a buzz kill), so if you’re looking to cut costs, I’d say skip that. Don’t skip laser tag, though. It’s awesome. There are other SMAAASH locations around the world, but this is the only one in the U.S.
Have you ever been on Soarin’ at Epcot in Walt Disney World? FlyOver America is the same type of ride, but better. 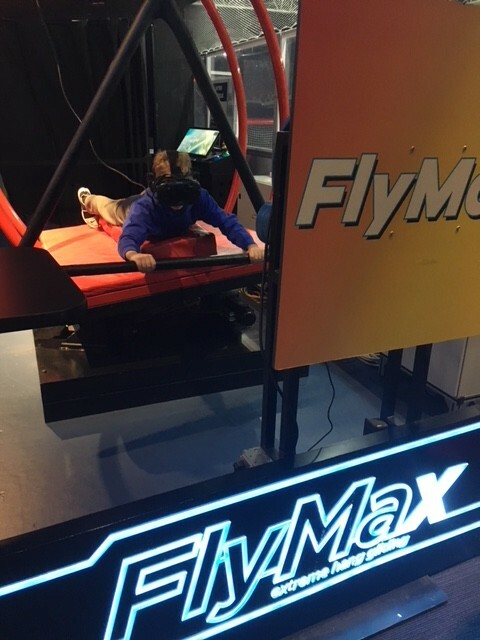 You sit (and get buckled in) to a ski lift-like seat, which lifts up and puts you in front of an IMAX movie screen that soars over different scenes in the United States. You literally feel like you’re flying over America. There are some 4-D effects, too, like when mist or water sprays at appropriate scenery. We even loved the America trivia contest in the waiting area. This ride got big thumbs up from everyone in our group, which included kids as young as 7, and two suburban moms. 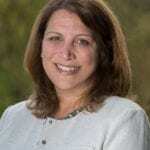 TravelingMom Tip: You’ll save a few bucks on each each ticket if you order them in advance online. 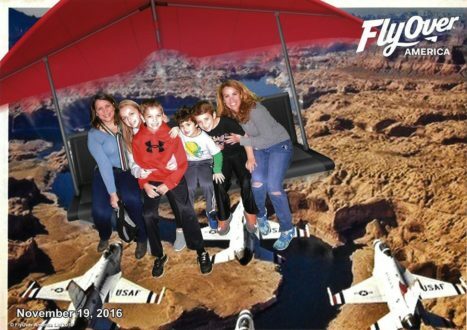 Photo purchased by Jamie Bartosch/Suburban TravelingMom You can buy photos of yourself in front of a green screen before going on Fly Over America at Mall of America. Have a creative child who loves art, or coloring? 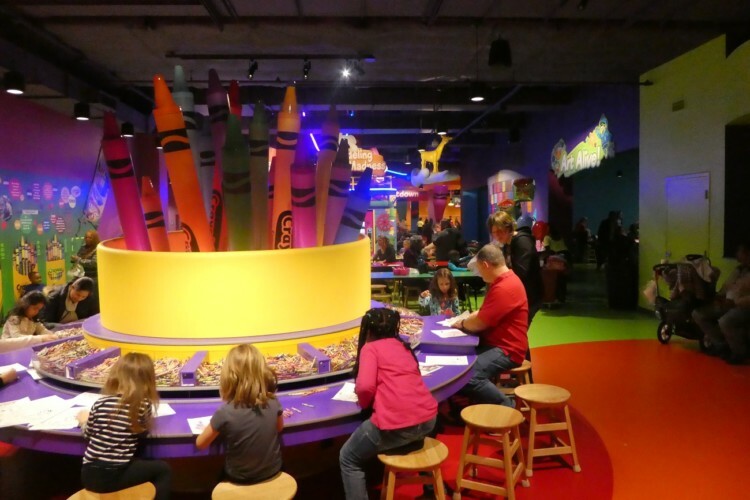 Stop at Crayola Experience. Geared more toward little kids – although it has a few things older kids might like– it’s a massive, brightly colored and buzzing-with-activity area. Each room is designated for a different interactive, art-related activities. In one room, I used a touchscreen to make my own custom crayon wrapper (for a take-home souvenir crayon). In another room, I melted crayons into shapes like a giant diamond ring. The finished project was mine to keep. It was crowded during my Saturday afternoon visit, and a bit pricey, but buying tickets online in advance will save a few bucks. The popular Mall of America rides are still there, including that insane SpongeBob Squarepants rollercoaster that goes straight down. But in recent years, they’ve added a ropes course, a ziplining-across-the-park feature (you get to go across, and then back again), and a new Ninja Turtles-themed ride, Shell Shock. To save money on the rides, consider going after 4 p.m., when you can get an unlimited ride pass for a discounted price. A fun restaurant that serves safe-to-eat raw cookie dough, Dough Dough, opened in the fall of 2017. 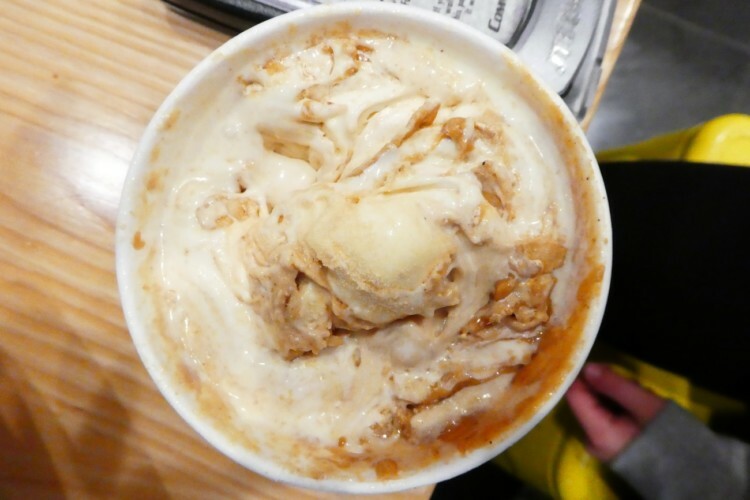 There are dozens of other ice cream and dessert offerings in the mall food court, but I like the popular new concrete mixer dessert at Shake Shack, the “Malt of America.” It’s sweet and delicious, made with vanilla custard, peanut butter sauce, crumbled sugar cone cookie and malt powder. To help alleviate your guilt about eating this high-calorie treat, know that Shake Shake donates 5 percent of the proceeds to Open Arms of Minnesota, which provides meals for people living with life-threatening illnesses in the Twin Cities. Where to stay at Mall of America? Staying at a hotel attached to the Mall of America is pricey. 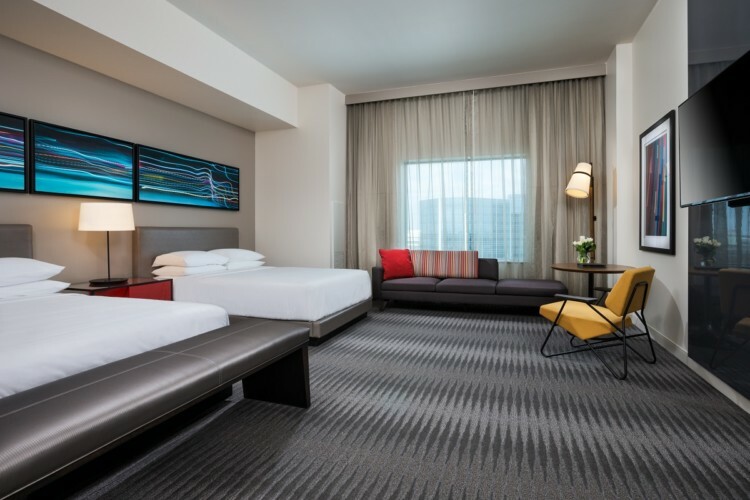 A less expensive but just-as-convenient option is the Hyatt Regency Bloomington-Minneapolis. While primarily a business hotel, it has many appealing, family-friendly features, like big rooms, free twice-an-hour shuttles to the mall, and a nice indoor pool. Best of all, it’s a great value. Room rates are typically in the low $100-dollar/night range. My kids and I liked this hotel a lot. 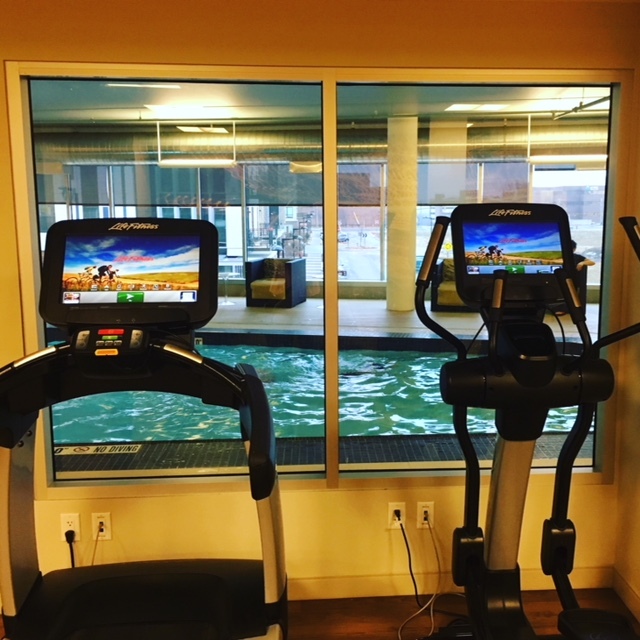 One of my favorite features was the window-lined workout room that faced the indoor pool. It allowed me to run on the treadmill while keeping an eye on my kids as they played in the water (Note: the pool is pretty shallow – at its deepest point, it’s 3 1/2 feet). Since the hotel is less than 2 years old, everything is new and nice. It has super-comfy beds, very spacious rooms (to prove that point, my 14-year-old daughter did a running cartwheel in our room), plus high ceilings and big windows. A feature that wowed me was the bathroom light, which dimmed to a nightlight when it was off. I’m usually forced to leave on an annoyingly bright bathroom light on for the kids, so this was a much-appreciated, kid-friendly design perk. Large rooms and an indoor pool make this hotel next to Mall of America very family-friendly. The Hyatt Regency Bloomington-Minneapolis is not walking distance to anything – it’s in a concrete jungle of hotel and office buildings that surround the mall and adjacent airport – but it’s next to a light rail stop. That makes it easy to hop on and go to downtown Minneapolis. If you want to splurge on a hotel attached to the mall, consider the Radisson Blu Mall of America. Besides all of MOA’s entertainment options, you’re also in a fantastic, massive shopping mall with every store you can imagine. Kids especially love the LEGO store and its 34-foot tall LEGO robot! The mall’s new easy-to-use touchscreen directories make it easy to navigate to where you want to shop. To me, the best thing about shopping here is that there is no sales tax on clothes. Zero. As one who lives in a county with 10 percent sales tax, it’s delightfully shocking to pay exactly the price on the price tag and not a cent more. New clothes for everyone!